Replicating the thrill of fast-paced business outside the confines of the boardroom is easy in The Bahamas, according to the Lifestyle feature in the January-July issue of The Bahamas Investor magazine. For the growing breed of young, adventurous high-net-worth Individuals (HNWIs), the islands are an ideal setting for kitesurfing, shark diving, big game fishing and many other extreme sports offering an adrenalin rush unmatched by the stock market. The same can also be said of The Bahamas when it comes to diving with sharks. 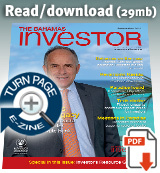 Read the entire Lifestyle feature on extreme sports in the new issue of The Bahamas Investor out January 1, 2012.